Patterns of Commoning is Now Published! After two years of working with more than 50 contributors, Silke Helfrich and I are pleased to announce that Patterns of Commoning is now available in both English and German editions. The books have just arrived back from the printer and are available from our distributor Off the Common Books and Amazon (US). You can learn more about the anthology at its website. Patterns of Commoning is arguably the most accessible and broad-ranging survey of contemporary commons in print. It introduces readers to more than fifty notable commons from around the world and explores the inner dynamics of commoning with great sensitivity. A primary goal of Patterns of Commoning is to show the great scope and vitality of commons initiatives around the world. 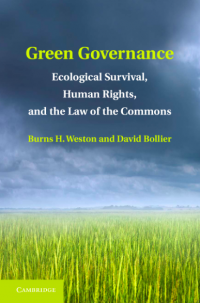 There are chapters on alternative currencies and open source farm equipment, community forests and co-learning commons, theater commons and collaborative mapping, urban commons and dozens of others. Margaret Thatcher once championed neoliberal capitalism with the harsh ultimatum, “There IS no alternative!” Patterns of Commoning shows in vivid detail that there are plenty of alternatives! 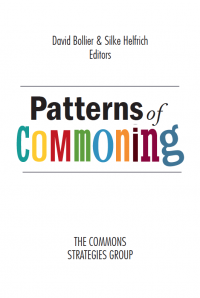 Patterns of Commoning is a companion volume to The Wealth of Commons anthology published in 2012 (the German version, Commons: Für eine neue Politik jenseits von Markt und Staat). Once again, we are grateful to the Heinrich Böll Foundation for its unwavering support, especially from Barbara Unmüssig, President of the Böll Foundation, and Heike Löschmann, the head of the Department of International Politics. We’re hoping the book will open up some new conversations and provoke greater media coverage of commoning. 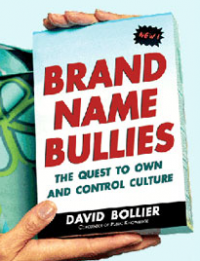 If you have any good ideas for promoting the book among Web communities, academics, activists, the press or ordinary citizens eager to learn about fresh alternatives, please let me know. I also invite you to use Facebook and Twitter to spread the word. We’re recommending use of the hashtags #patternsofcommoning, #commoning or #4thecommons. The German edition, Die Welt der Commons: Muster Gemeinsamen Handelns was published this month by transcript Verlag; it is already attracting welcome media attention in Germany. You can learn more about the German edition and download an epub version here. 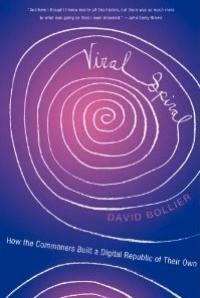 I’m especially proud of using a commons-oriented publishing model for Patterns of Commoning. We wanted to bypass the conventional publishing channels that raise prices and deliver less to authors and readers. Thanks to 32 pre-orders for hundreds of books by committed commoners, we were able to self-finance a lot of the printing costs. 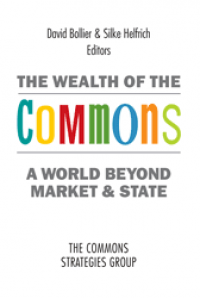 By working with Off the Common Books – the self-publishing arm of Levellers Press, which published The Wealth of the Commons – we are able to distribute the books directly to readers via the Web at substantial savings. The 406-page paperbook sells for $15. Ebook versions in Kindle, Nook and epub formats will be available shortly. Bulk orders of ten copies or more can be purchased for US$10 per copy plus shipping. 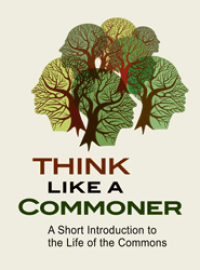 You can buy Patterns of Commoning and The Wealth of the Commons together at a discounted rate of US$30 by contacting Levellers Press at levellerspress1 /at/ gmail.com. By controlling the publishing process ourselves, we are also pleased that we could use a Creative Commons BY-SA license without having to overcome a publisher’s resistance. The entire contents of Patterns of Commoning will be available later on the book’s website, just like The Wealth of the Commons. Here’s hoping that you enjoy the many fantastic essays by the book’s talented, brilliant contributors!